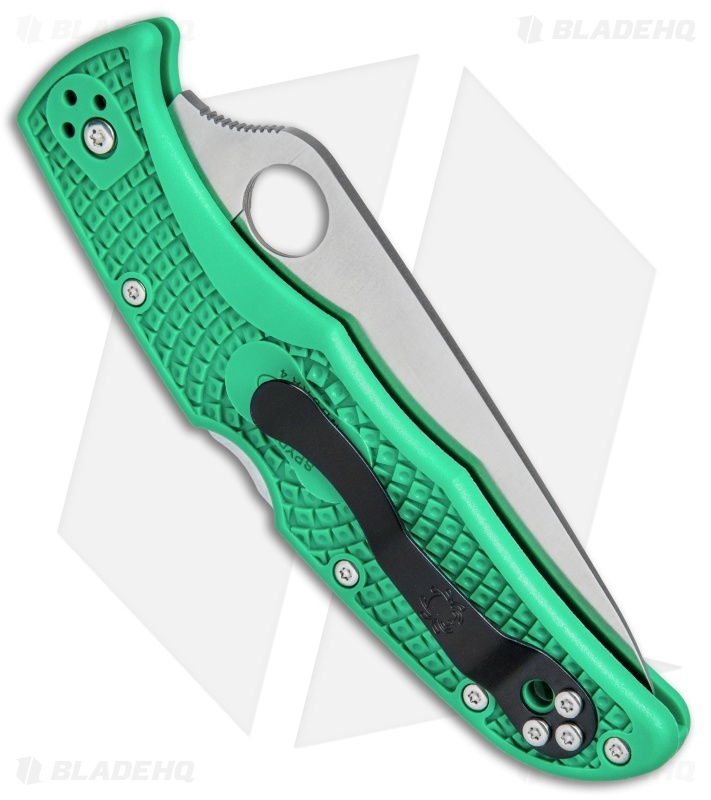 This Spyderco Endura knife has a green FRN handle and a full-flat ground VG-10 stainless steel blade that is satin finished with a plain cutting edge. The Endura knife features a molded FRN (fiberglass reinforced nylon) handle with Bi-Directional texturing for traction and improved ergonomics. The handle is strengthened with dual skeletonized stainless steel liners that make an anchor for all external and internal components to attach while adding sturdiness and rigidity. Phosphor bronze bushings on the blade pivot smooth out the open/close action. The pocket clip is four-way reversible for tip-up/down, left- or right-handed carry. The blade is premium VG-10 stainless steel from Seki-City Japan and has Spyderco's easy to use thumb hole for simple, efficient one-hand opening. The Endura is a larger version of the Spyderco Delica knife. Both knives have been extremely popular over the years thanks to their lightweight, high performance build and affordable price. 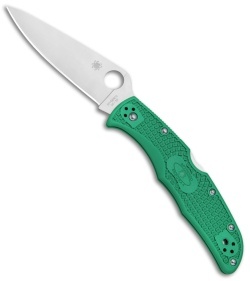 This knife is a great starter knife. 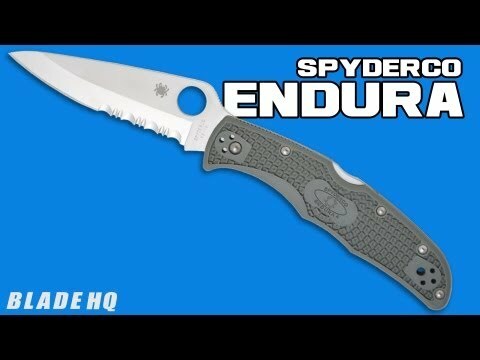 It was my first Spyderco and I still carry it to this day. 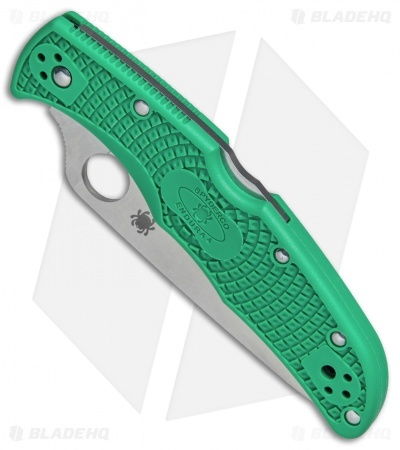 It is reliable, easy to sharpen, lightweight and an overall great edc piece. I like it so much, I bought 2! This is a good option below $100. Throw a zip tie on this guy and you'll have a generic emerson opener. VG-10 is an easy steel to sharpen, so you won't have to spend a lot of time on it like other steels. The knife is also pretty light. 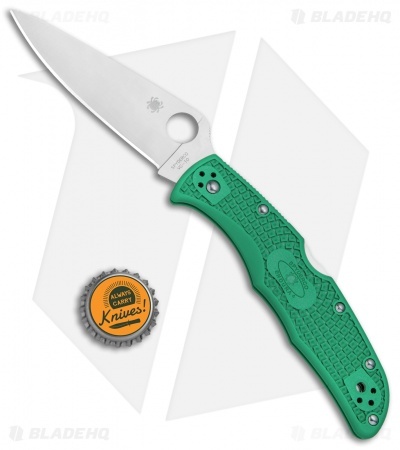 This is a good knife to have if your on a strict budget.